Ugadan Samuel Owori has been confirmed president-nominee of Rotary International, a humanitarian service organization that unites leaders committed to improving lives and bringing positive, lasting change to communities around the world reports ITRealms. During his one-year term as Rotary’s 108th president beginning on 1 July 2018, Owori will focus on building membership worldwide and increasing visibility and understanding of Rotary. He’s played an instrumental role in growing the number of clubs in Uganda from nine to 89 over the course of 29 years. 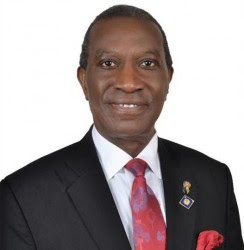 “Today more than ever, the world needs to know and understand Rotary’s impact and values of advancing international understanding, goodwill and peace,” says Owori.